Karpat Art offers a great variety of works by Transcarpathian visual artists, past and present. I greatly encourage you to explore its galleries in order to experience the spirit of the Carpathian land through the collection of the artworks they hold. 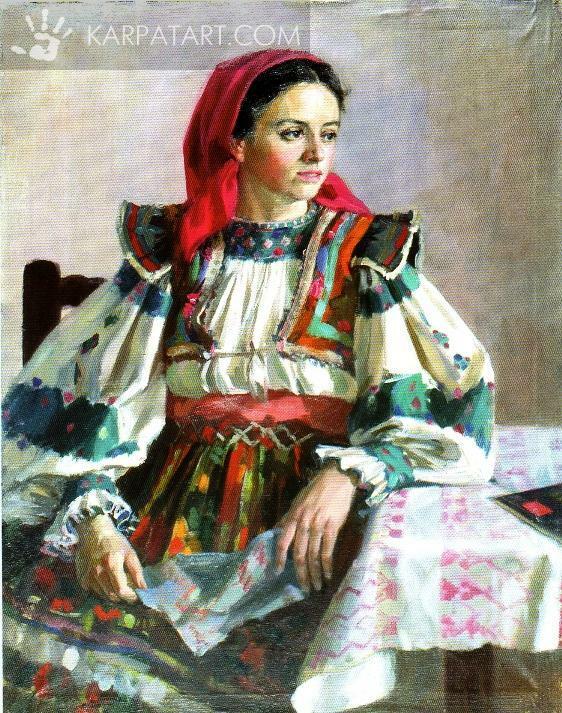 Here is a portrait by Andriy Kotska, an Uzhorod native, of a girl in a traditional dress. The immediacy of the hasty brushstrokes brings the viewer right into her presence, and the light illuminating her face and highlighting the whites adds to the feeling of festivity and hope.